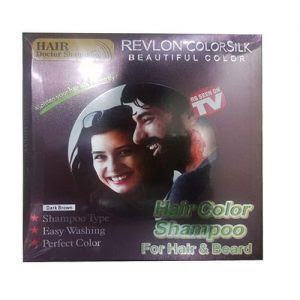 Hair Color Shampoo Is An Exceptional And Safe Product For Hair Coloring. Contains No Ammonia Or Peroxide. The Aloe Extract Gives Your Hair A Beautiful, Vivid Color And Natural Shine. The Aloe Extract Makes Easier To Comb Out And The Natural Uv Blovker Protects Hair From Harmful Effects Of Sunlight. The Color Holds On Hair Just You Use It. Only 20 Minutes, You Will Get The Hair Color Like. Please Be Sure The Hair In Dry Before Use. Squeeze Out The Appropriate Amount Of The Two Cram (The Proportion Is 1:1) On Hand, Mix Evenly And Then Apply On Hair. Message Hair Slightly Until The Cream Spread Evenly On Hair. Keep The Cream On Hair For 20-30 Mins. Rinse Well With Water And Blow Dry Hair. The Coloring Effect May Be Affected If The Temperature Is Low Or The Hair Is Hard Or Resistant. If The Coloring Effect Is Not Perfect. Please Appropriately Extend The Time For 30-50 Minutes.